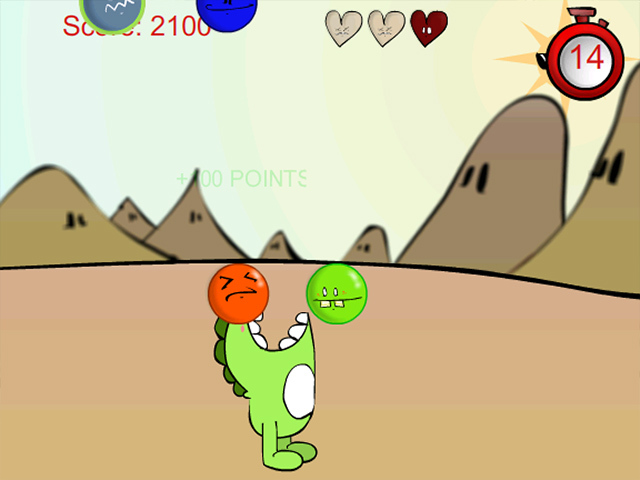 Collect the delicious gumballs and avoid the nasty sourballs. The only catch? 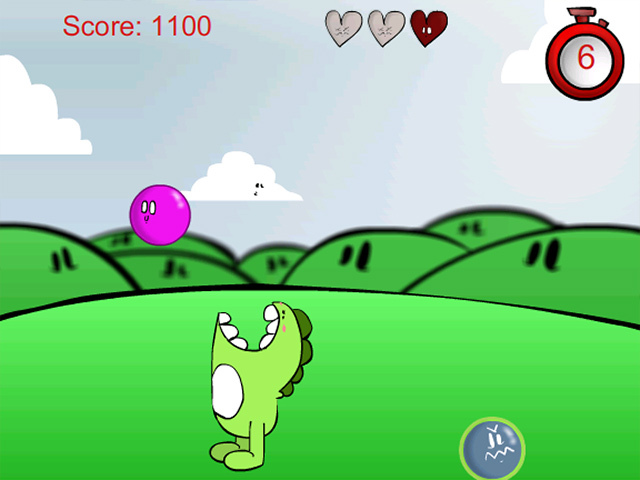 You can't walk and chew gum at the same time!Gumballs keep falling on your head!Help the bubble gum-eating dinosaur collect delicious gumballs and avoid the nasty sourballs in this adorable online arcade game. Use the left and right arrow keys to move. Open wide for gumball eating with the up arrow. 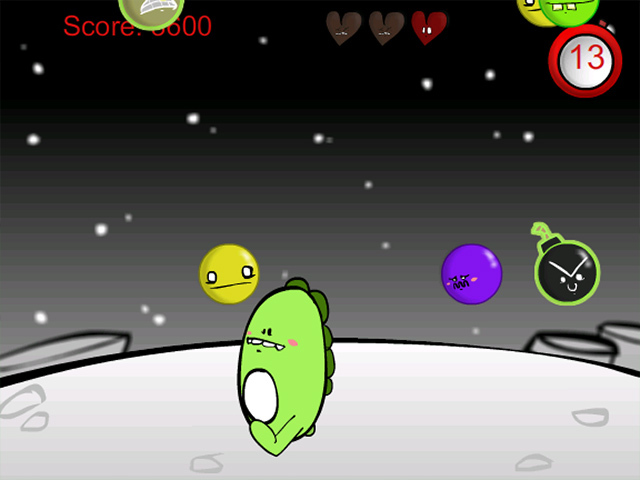 The down arrow protects you from sourballs. 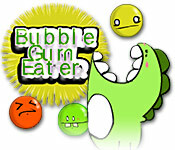 Sounds easy, but there is a catch: The Bubblegum Eater can't walk and chew gum at the same time!